The Blaydon Race. My favourite road race and my sixth time running it. Logically, it’s not a great contender for a favourite race. It’s an irregular distance. It’s a congested city centre start, and most of the route is on tarmac roads, with nothing in the way of scenery, unless you like flyovers. But there’s something about this race. Maybe it’s the way runners takeover part of the city centre usually known for beer and kebabs. Maybe it’s because it marks the start of summer. All I know is that it has a great atmosphere and it always makes me smile. Coming into it just two days after smashing my PB at Northumberland Standard Triathlon, I really wasn’t focused on getting anything from this race, other than turning up and enjoying it. My legs were still feeling the impact of cycling and running and muscles were tight. But still, changing into my running kit after work and pinning on my number, I felt a thrill of excitement. It’s a bit of a tradition that there’s a group photo before the start. And within minutes of arriving in the Bigg Market I’d spotted a collection of runners I know from parkrun and Fetch Everyone. We smile and pose for the phone cameras. The atmosphere is building as we’re corralled into the narrow streets leading down towards the start line. I feel like I want a bit of time to gather my thoughts, so slip away from the group and head towards where the band is playing the usual rendition of ‘The Blaydon Races’ and snap a couple more pictures of the crowds. There’s a bit of a delay to the start. We don’t know it at the time, but there’s been an ambulance on the course, helping a non runner, and we’re waiting for a clear road. Then comes a surge and a bit of a cheer as the crowds start to move, walking forwards at first, approaching the start line marked by the ringing of a hand bell with a couple of surges and stops. Just before the line, I spot parkrunner Tove and give her a joyous high five. Then I’m off and running through the streets of my adopted home city. 4,000 runners dodging each others’ feet and elbows as we navigate the twists, turns, kerbs and bollards must look like the most bizarrely colourful flock of starlings in full flight. I manage to weave my way through the space comfortably, despite squinting into the low evening sunshine. I wish I’d worn my sunglasses. I’m feeling good. Relaxed. No thoughts about times or targets, just ready to enjoy this race. I’m bouncing along feeling surprisingly fresh, like I’m running well within myself, but not deliberately slowly, like I would be on a long run. It’s a great feeling, like I’m flowing along the road. Along the Scotswood Road, runners spread out, finding space, falling into a more consistent pace after the flurry and scurry of the first mile. There’s a constant stream of coloured shirts and sounds of breathing as I pass and am passed in turn. I continue feeling relaxed and strong, able to shout out club names and recognise runners as we run the new out and back section after the Blaydon bridge. The route here used to run along the riverside path, but now it’s on road and it feels a little wider and less congested. I haven’t looked at my watch at all. I have no idea of what pace I’ve been doing, but it’s felt good and steady. By the time my legs start to feel a little heavy and the pace starts to feel harder work, I calculate there’s less than a mile to go and push on. Through the industrial estate, I pass a lady wearing a small back pack who I’ve been targeting for a while. The supporters start to gather in droves and there’s a real sense of the finish line approaching. I find a little more in the tank and stretch out my stride, but I resist really picking up until I can see the blue finish funnel. With less than 100m to go, I surge into a sprint across the grass playing field. The man beside me comes with me and I say ‘all the way to the end!’ He takes me on and beats me fair and square as I cross the line, breathless but smiling. We shake hands and grin. I step aside to catch my breath before heading to pick up my goody bag and the much prized race t-shirt. I look at my watch and can’t believe it when it says – 50:25. On tired legs and with the relative effort I felt I was putting in, I’d easily expected to be a good 4 or 5 minutes slower than that. A good running pal of mine often says ‘relax and enjoy’ before a race. Well i did just that at Blaydon and came away with a really decent run. I hope I can do that again in future races. It’s been a good year has 2012. I started with a run on New Year’s Day – a great way to see in the Olympic year, bounding through the mud and clambering up the hills on the Town Moor. I’d see a lot of this landscape throughout the year. But I was carrying an injury and not really doing enough about it. By the time I saw a physio and started properly managing my plantar fasciitis, running had to take a back seat and I returned to walk/run to get my feet and calves fit and strong. I turned it to my advantage by focusing efforts on my swimming, joining in club swims and clocking up my highest swim mileage month of the year. I logged my second highest bike mileage this month too. I continued to recover and treat my plantar fasciitis throughout February, logging my lowest monthly run distance since I started recording such things. But it was the right thing to do and I learned a lot while I was doing it. It actually really got me thinking about what I wanted to do and how I wanted to use my accumulated knowledge of training. Talking to and getting such good treatment from my physio and sports massage girl helped push me in the direction of looking at getting some training qualifications – convincing me I could do it. I was recovered enough to take part in arguably the year’s A race – The Olympic Park Run. On 31 March 2012 I donned a red T-shirt and smiled all the way round the five miles of the Olympic Park, touching the side of the velodrome, and eventually emerging from the long corridors underneath the stands to run on that track. I still remember the bounce, the energy, the absolute thrill of entering the bright glare of that arena. On a cold grey day, with only a few thousand spectators, I could only imagine the roars that would fill it come July. But the whole experience of being in London, of taking part in a warm up event absolutely convinced me that we would make a wonderful job of hosting the Olympics. And didn’t we! I took a break in April – a few days in France and my first run in continental Europe. And I finished off the month with great day in Scotland tri training with Leslely and friends, finally getting to grips with my clipless pedals. It was good timing, as May was full of tri activities. My first triathlon of the season and a return to the scene of my first EVER tri at Ashington. With a still nigglesome foot and little focused training, I failed to improve on last year’s time, but I was off and running and my enthusiasm for crazy multi-sport events was as high as ever. My real triathlon focus of 2012 was to be my next race, the QE2 sprint triathlon, where I’d tackle my first open water swim. So that meant open water training, and I first donned my wetsuit and got in the lake in May. Pretty scary at first, I did seriously wonder whether I’d ever be able to get myself calm enough to be able to swim proper front crawl, but little by little, session by session, I built my confidence and began to enjoy the open water experience. And I was back north of the border again for another fabulous tri day, swimming, cycling, running and generally messing about in the sunshine on the best day off work ever with Al, Ann and Lesley. I got some serious inspiration that day. A real dose of ‘you can do anything if you believe in yourself’ magic. It works. For those who only remember the wet summer, I can assure you we did have some super sunny days. That tri day was one, and our Fetch ladies cycling day, when me, Karen, Penny, Lisa and Lesley Anne took on part of the C2C route, was another. Which brings me to June – an absolutely action packed month, starting with my big event, the QE2 triathlon – my first time swimming 750m in open water. I was seriously nervous getting in that lake. So it felt very reassuring to have a couple of friendly faces nearby in the form of my PT, Ian and Lesley’s son Al. The rest of that experience is blogged at length. But if I had to pick a moment of the year, it would be that one. Crossing the finish at a sprint, hearing my name over the tannoy system, race face captured on camera, falling into the arms of my very best tri buddy Lesley. Oh, and the best finish photo ever courtesy of Bob Marshall. I’m sure it felt harder, I had more doubts, and I know I seriously asked myself what I thought I was doing going into the water. But I don’t really remember that now. I just remember the sense of achievement, the elation and the joy of finishing and being surrounded by friends and eating cake in the car park! I’ve already mentioned the weather, and Saturday 9 June was a day of sunshine and showers in Newcastle. As I made my way down to the Bigg Market for the start of the 150th Blaydon Race, people were sitting outside the restaurants and cafes, watching the world go by, enjoying the sunshine. But as the race started, so did the rain. And less than a mile in, the roads were rivers and we were drenched through. I’d been drier in the lake. It made for a memorable race. Still a fun one as always, but definitely my wettest yet. As the Olympics drew closer, the torch came to town, gathering crowds and celebrations, swiftly followed by a brand new north east park run on my beloved coast. On Olympic opening day itself, I was a visitor at Ellem’s again, enjoying a swim in a lake near where she lives, a cycle and a run before heading home to wonder in delight at the opening ceremony. I’ve spent a good few days in Scotland this year, which is always good news for me, and I returned to Edinburgh for a day at the festival in August. I threw in a parkrun for good measure and caught up with some of my other Scottish Fetchie pals too. I logged my highest ever bike mileage this month (still no great shakes by the measures of this site, but still significant for me) helped by my longest ride to date on the Great North Bike Ride. And so to September, which sort of marks the beginning and end of my running year with the Great North Run. My fourth year of running it (who ever thought I would be saying that?). It was important in that, thanks yet again to my generous Fetch friends, it helped me raise over £700 for Sands in memory of my baby sister Ava. And it was important to me that I’d recovered enough from my running injury early in the year to be able to take it on. But in terms of time, of challenge, to me, it was no longer the big thing it has been. I was overjoyed to high five a couple of Olympic heroes on the start line and very happy to have stumbled into the company of the brilliant Elvet Striders 2 hour run bus, but right from the start I knew it wasn’t my race this year. I’d already had a magic moment crossing the finish line the day before in the company of the amazing Tony the Fridge flanked by a host of Harley Davisons and the lads from his junior football team. A real privilege to run with this guy and spend time in his company. So by the time I reached 10 miles and I was still not feeling it, I let it go, released any sense of pressure of time or achievement and just ran easy. High fiving all the kids along the last mile, waving, smiling, giving thumbs up to everyone who shouted out my name on my shirt, just cruising to the finish and enjoying it. It had been a bit much to ask to run an amazing race after opting to do a sprint tri in Scotland the weekend before. But I wouldn’t have missed Haddington triathlon for anything. Another sunny day in the company of my lovely friends; a perfectly run event; a swim that frankly astonished me, and a run that convinced me I could get back to previous form. That was another event for the scrapbook. After all that I was ready for a break and I really enjoyed our holiday to Canada, where I still managed to run, cycle and swim and watch part of a half marathon. My plans to come back refreshed, revitalised and ready to enjoy the off season were scuppered by a silly fall during the Newcastle Stampede which had me finishing the best part of a 10k with a sprained ankle. But actually this injury turned out to be a blessing in disguise. Using what I’d learned from my physio treating my plantar fasciitis earlier in the year I rested, recovered and returned using a walk run plan to build back up. Only this time, I also revisited my running style and with the help of drills and exercises from my PT, Ian, I started to transition to a more midfoot style. It felt strange at first and I had to make sure I did a lot of stretching and foam rollering to release the built up tension in my calf muscles. But that’s made me develop more good habits and the additional stretching, running drills and warm up are now a regular part of my routine. Not running so much also drove me back to swimming and cycling. I used some drills with the pull buoy as my ankle was recovering and they’ve helped me improve my front crawl stroke a great deal, so that I now get my hands in the water more quickly, and finish every stroke, rather than rushing through to take the next breath. 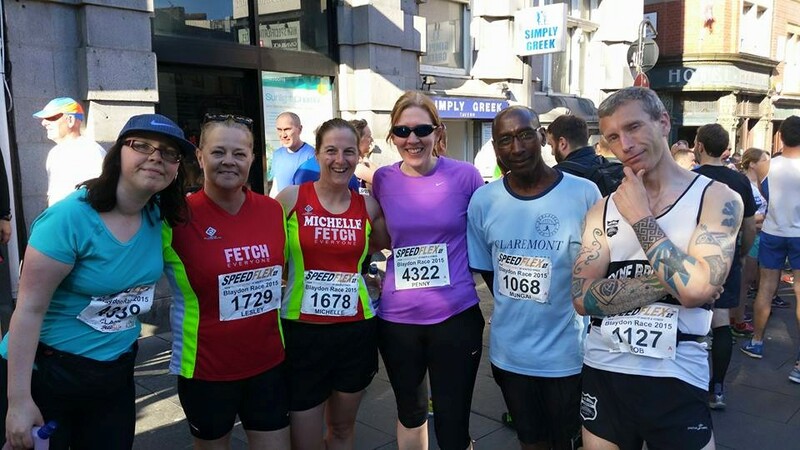 October too saw me return to support the Town Moor marathon – another race that’s become a regular on my calendar. 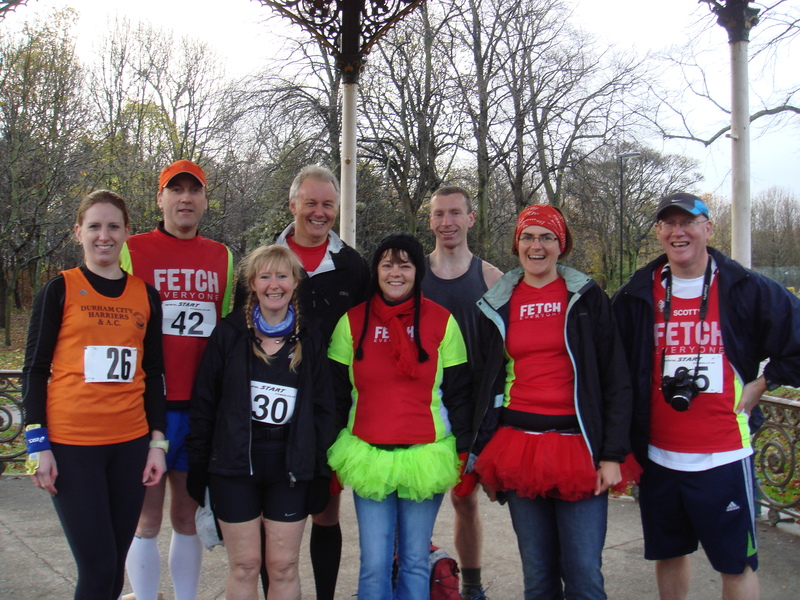 It was great to welcome Fetchie pals Ann and Les and to cheer on a host of other runners around the course. And it was absolutely brilliant to be there for Ann’s course record breaking win. I predict more to come from this fabulous runner next year. And so onto birthday celebrations in November, combined with a return to parkrun and each week developing confidence in my new running style and chipping away at my time. But my biggest achievement this month was returning to the exam room for the first time in over 20 years and passing the theory papers for my Level 2 gym instructor qualification. I still have to face the practical assessment sometime early next year, but a good set of marks on the exams has given me the confidence that I can do that too. And the whole experience has fired me up to do more and to pass on some of my learning and experience in 2013. December saw us get together for a Fetch track mile – a great chance to meet up, run a bit and eat some cake before Christmas. And I ended the year with a very wet but enjoyable 10k race at Saltwell. Track training obviously suits me, as I returned there for a session with my PT this week and have just clocked my fastest parkrun of the year at Whitley Bay in a time of 25:49. There’s still a bit of time left to go, but I doubt I’ll get much time to train. I’m enjoying spending a bit of time off, relaxing and getting stuck into my studies again. I have plans and goals in mind for next year already, but I think that’s fodder for another post, as this has been a long one already. It’s been great to look back at another tremendous year, to reflect on the achievements and to cherish the friends with whom I’ve enjoyed some magic moments. The Blaydon road race commemorates a popular music hall song from 1862 that tells the tale of a riotous trip from Newcastle to see the Blaydon Races. There’s been a road race that takes in the landmarks mentioned in the song since 1981, so this year marks its 150th anniversary. Oh yes, it’s written in the Geordie dialect, as are the race instructions sent out to the 4,000 runners who now take part in this annual 5.9 mile race. In fact, getting a place is almost as challenging as running the route as they are snapped up within minutes of being announced. It has a great atmosphere, with crowds of runners packed into Newcastle city centre at the start, hanging around the Bigg Market area, better known for its bars and nightlife. It’s quite a challenge to put on as the route goes through some of the busiest roads in the city centre. It’s well supported too with spectators and bands along the route and watching from the bridges, before gathering in numbers around the finish area at Blaydon. The route has been changed a few times. It was originally 5.7 miles, then lengthened to 5.9 miles. It’s run mainly over main roads and dual carriageways, so not the prettiest scenery. 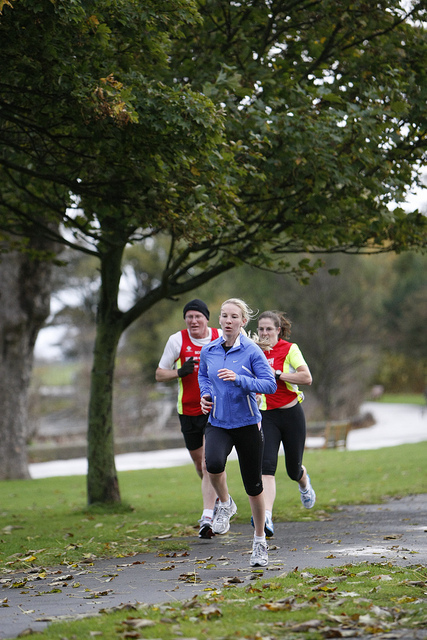 It attracts a good mix of runners, from the super speedy club runners to those just giving it a go, running for charity and being part of a local tradition. Can you spot me ‘Gannin’ along the Scotswood Road’? It’s usually pretty congested at the start, as runners pick their way through a couple of twists and turns, minding not to trip over kerbs and street furniture in the city centre. 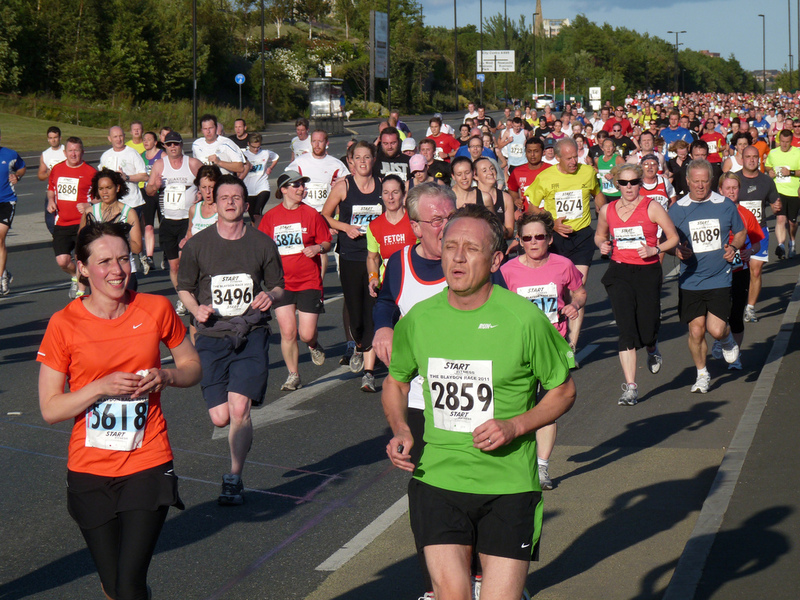 Once the crowds reach the dual carriageway onto the Scotswood road, it thins out a bit and there’s more space to run. A couple of up and over bridges and an out and back along the river add to the variety, although there’s often a bit of a bottleneck coming down off the bridge to the riverside. And there are usually a few groans as the race reaches the final flyover before Blaydon. There’s another change this year, with the finish at the playing fields on Shibdon Road, which looks like it could be uphill. But the distance remains at 5.9 miles. Once through the finish line, you’re guaranteed a decent goodie bag with a much-prized T-shirt, bottle of beer and a selection of local food (usually including tripe, pease pudding and pickled onions). This will be my fourth time running it and it’s firmly established as one of my favourite races. The distance, just short of 10k makes it unique and the fun atmosphere lifts it and makes it special. I’ve also always run really well on it. In 2010, with a bit more experience, on a cold wet and rainy run, I had one of the best races of my life. It’s still up there in my top ten. So last year, I felt a bit deflated when I failed to better my performance. 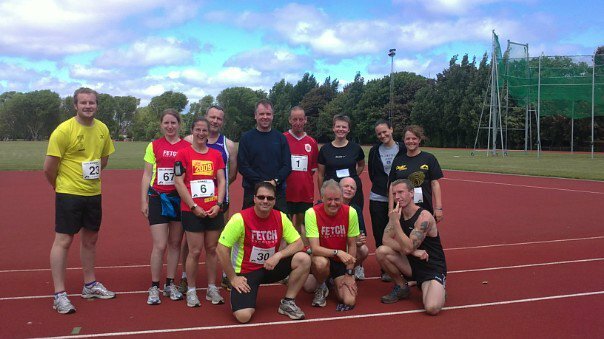 Soon afterwards, I went on to run some record times over a shorter distance, so really I was quite hard on myself. This year, I’m running again. And I know I’m not running as fast as I was this time last year. So I’m going to learn from my experience and not put too much pressure on myself. I shall just run and enjoy it for what it is. I still hope to run well and I’ll be pushing as hard as I can, but I hope I’ll be smiling too and I’m guaranteed to be among friends at the start and finish. So roll on the 9th on June and I’ll see you on the Scotswood Road. To be honest I think of my running year from one September to the next. September 2008 was when I first started working with Ian, my fantastic personal trainer, who has been the catalyst for some life changing experiences. 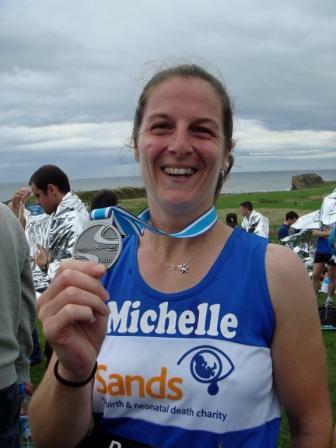 September 2009 marked my first half marathon – an unimaginable goal when I first started. And September 2010 was really the race of my life, so amazing, memorable and emotional on so many levels. But September’s come and gone and like so many of us at this time of year I’m looking back and looking forward. January 2010 started with some goal setting, looking forward to my second year running and a chance to revisit some favourite races. I had in mind then that I’d like to do something different. So after a winter taking some swimming lessons, I finally succeeded in swimming 400m in one go, thanks to some excellent support and encouragement from Lesley who I got to know through Fetch Everyone. Little did I think then how important she would be to me in 2010, and what a true and wonderful friend I had found. In February my family lost a much loved and anticipated baby. My littlest sister Ava may not have lived to hold my hand or smile at me, but she spurred me on to amazing things in 2010. In the same week we had to deal with that unexpected and heartbreaking loss, I had a moment of joy when I discovered I had a place in the Great North Run. Once again, this was to become the race that would shape my year and I’d run it for Ava. March was tough. 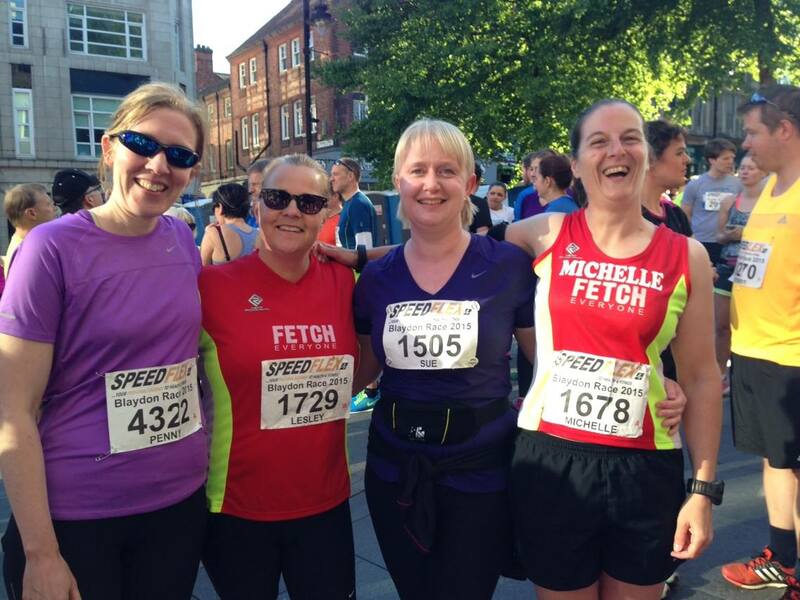 My running stumbled as I struggled to cope with sadness, grief and anger and I started asking myself lots of questions and getting frustrated with my running progress. But some good friends and sound advice saw me through. And when I travelled to Barcelona for my sister’s hen weekend and found the city full of marathon runners, I was inspired once again, and full of pride for those that took on this challenge. In April my family once again gathered together for the joyous celebration of my sister’s wedding. We were blessed with a day full of sunshine, laughter and dancing. And to make sure it went with a swing, I started it with a run – my first outside the UK. By May I was well into my running training, enjoying the spring weather and training plans. I’d decided to drop my start of the year goal to complete a triathlon in favour of going all out for the Great North Run. But I ran three races this month, including the Tees Barrage 10k where Dave introduced me to the fabulous Lisa and Jason – more good friends and strong supporters. We joined up again at the Pier to Pier, with Jason providing my longest ever warm up, that led to a new PB! And at Druridge Bay 10k I enjoyed a great but tough run and was buzzed by the RAF rescue helicopter as I ran across the sand. June was the month I had set to switch my focus from 10k to the half marathon, but I was determined to go out with a bang. And I did on a glorious summer evening on South Tyneside when I ran my first ever timed mile on Jeff’s precisely measured course. 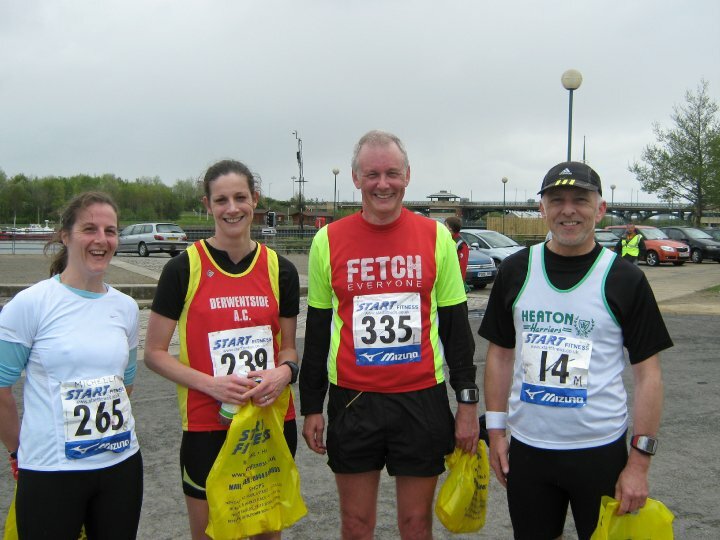 That confidence spurred me on to a dream run at the Blaydon Race. It was my favourite run of 2009 and my best performance of 2010. The weather may have been damp and dreary, but my spirits were high and I flew round that course. One of those glorious, precious runs when it just came together, when my legs strode out beneath me and my breath stayed strong. Where it almost felt easy and I smiled all the way to the finish. I must be the only person who wishes that course was a teeny bit longer, as I’d have been tantalisingly close to a sub 50 10k. Memories of Jeff and Hayley standing on Scotswood Bridge cheering us on beneath their umbrella make this one of my best moments of the year. So Blaydon over and my thoughts turned to the long run. No more 10ks, just a bid to bring the speed down and focus on half marathon training. 2010 was the year I got confident enough to go off road too, first with the Run for Bob – another gorgeous day and then when I was invited to run in the woods with Lisa T. More fantastic running experiences shared with new friends. Throughout August I remained focused on my Great North Run training plan. Maybe a bit too focused, but I was determined to give it my best shot. And as well as aiming for that sub 2 hour half marathon I was in a fundraising frenzy, promoting my efforts on Twitter, facebook and a couple of appearances on local radio. A massive cake sale at work boosted my fundraising efforts for Sands and gave me the chance to share Ava’s story. September began with a beautiful wedding on the last glorious day of the summer. A privilege to share a day with two special people who deserve all the love and happiness they will bring to one another. It also brought my last long runs, including a trial run along the John Reid Road and some well timed and appreciated advice from my long time Fetch buddy Alastair, who I hoped to meet on the big day. And so to the Great North Run. I’ve already told its story and will continue to tell it again and again. For it was an amazing, emotional day and one I’ll always remember for so many reasons. After that it would have been easy to slide into a post race slump, but I swapped long and hard for short and fast at my first ever parkrun and found I’d lost none of my speed demon tendencies. Having missed Al at the Great North Run, it was fabulous to finally catch up with him once in my (adopted) home town and then again in his in October. After a week indulging my other love of writing, I jumped for joy at the chance to finally get a hug from Lesley at the Edinburgh parkrun, then celebrated with cake, more cuddles and a good chat after Al paced me round to a new PB and my first sub 25 min 5k. As the weather began to turn in November, I proved beyond all doubt that this running thing has made me even more crazy than I ever was, by completing my first ever dual sport event at the Killingworth aquathlon. A 500m swim punctuated by a fire alarm, followed by a 5.7km run in temperatures hovering around freezing and I was pumped full of adrenaline and on an achievement high. And then came the marathon. Not running it, but supporting it on Newcastle’s Town Moor. What started as a casual mention on a Fetch forum came together as a plan thanks to the lovely Lesley who arrived complete with yellow tutu. And I found myself wrapped in a hundred layers of clothing, sporting a red wig and getting hyper on jelly babies cheering on some amazing runners. How many highlights are you allowed in one year? This was definitely one of mine. To see so many of my running pals including Jeff, Al, Katy and Anne smash their PBs on such a wretched and challenging day… well it made me really proud to be part of this very special group of nutters. And now we’re into the last month of the year. Challenged by the weather and a sense of times changing. I’ve swapped my shorts for running tights and have even been known to break out the gloves. And although I’m running far less than the heady miles of August, I’m still keeping things ticking over and enjoying a few last gasp chances for runs, races and fun. My planned last race of the year, The Pudding Run was cancelled earlier this week. So that means that my last race of the year was the Saltwell 10k (unless I make it to Sunderland for parkrun on New Year’s Eve), but Saltwell was a great way to bow out. And I still kept my tradition of a Boxing Day run going with three miles on the beach. I was talking to my dad on the phone recently and, understandably there’s a good reason why my family will be glad to see the back of 2010 and welcome in the promise of a new year. But though punctured by sadness, this year has given me strength and hope and moments of absolute joy. Most of them, it has to be said are in some way connected with running and the good friends I have met through it. So thank you. I’ve said it before, but it’s worth repeating. Thank you to those of you who’ve read, commented, sponsored me, smiled or cheered on a race. And to my good friends who have done so much more – you know who you are, and I hope you know how much I appreciate it. It has been an amazing year. I have so much to look forward to next year. I’ve entered five races already and will be trying some new things, including a triathlon and the Rat Race. I’ll also be racing in the town where I grew up, on the track where I once ran 100m and the relay. I’m sure I’ll have plenty of opportunities to run with my running friends, and hopefully meet some new ones. I’m sure there will be ups and downs again, frustrations and joys. But most of all I intend to train well, rest well and enjoy my running, swimming, cycling, boxercise, weights and PT sessions. I have changed so much since I started on this adventure and I can’t wait to see what the next chapter brings. I know I will enjoy sharing it with you all again. Racing through the working day. Meetings, emails, phone calls. And all the time counting down the minutes until it’s time to shut down and tuck away the day-to-day. For tonight is race night. Changing in the ladies loos. Squashed in, swapping smart for sporty. Hair gripped back. Watch set. Bus ticket and emergency pound coins tucked in the back pocket. Then off into town. Sauntering self consciously through the city centre to the place where the runners gather. Young, old, tall, short – all shapes and sizes and ages wait on the cobbles. My friend is quiet. This time, I’m the one with experience. Not this race, but others. There’s a chill in the overcast skies and we just want to be off and moving. Spotting friendly faces in the crowd, we chat about nothing, glancing at watches, ready for the off. Wishing each other luck. Gradually, casually, we begin to move. Shuffling forward in the narrow space between the pubs and nightclubs until we hit the main road and the sound of the bell. And we’re running. Tight packed, slow to start, my legs yearn to be stretching. Dodging elbows and curbstones I find a route through, trying to keep pace with a runner in black. 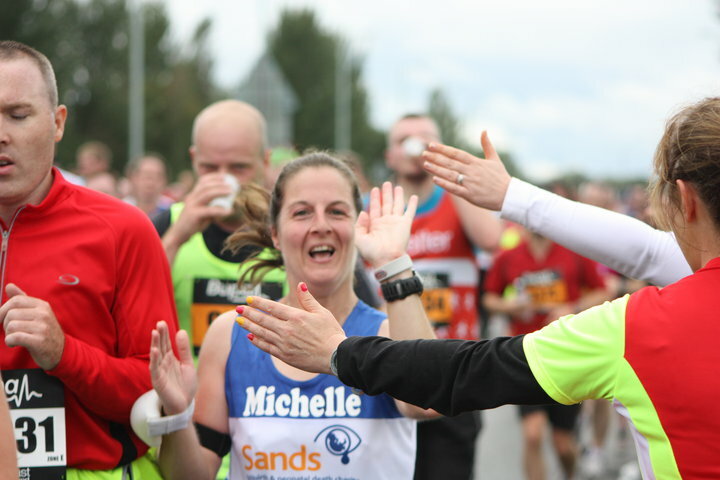 I soon lose him in the crowds as we turn onto the Scotswood Road – a welcoming wideness where I can run my own race. One by one I spot them. Choose my next target and move forward. Past the man in the green top, past the tall guy in the black shirt; past the doctors discussing heart valve replacements and the girl in her pyjamas. I smile as I go through, feeling fast and strong. Remember to check myself. How’m I doing? Feeling good? What’s the pace? That’s good, stick with that. And on my shoulder a running veteran smiles at the daft girl talking to herself in the middle of a race. “Just coaching myself” I tell him. And we’re ‘gannin’ alang the Scotswood Road’ to the sound of a band playing. There’s a bridge and a slope. At the side people stop and walk, but I push on up and through, my veteran buddy still at my side. Over the top and down, the route narrows to a walking pace and I want to be through the gap and moving on. Along the Derwent the runners flow upriver and down again. Friends wave and shout as they pass each other and I scan the crowds for a familiar face, knowing he’ll be long gone. How far, how far before we turn and head back along the same stretch? I cannot see the end. Another bridge, another slope and my pace has dropped a little. But I spot my unknown running buddy and spur myself on. Over the top and you can see the runners below, heading for the finish. Use the downhill slope to stretch out, pick up some speed and push on. The crowds at the bus station surprise me. Kids reach out over the barriers, hands held out for high fives. 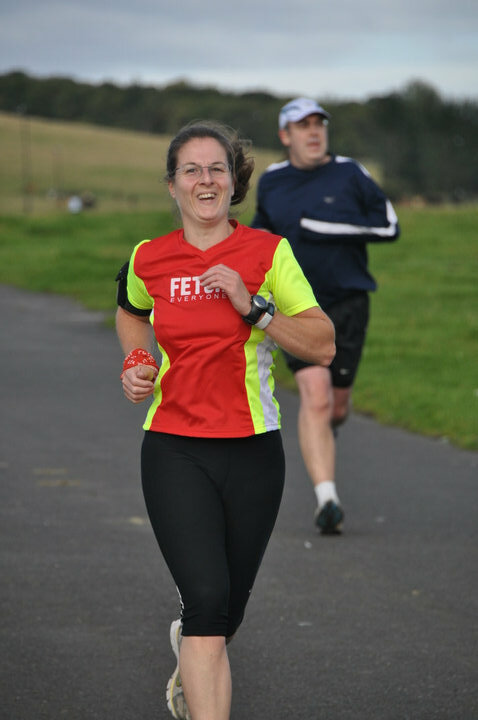 And, I’m smiling, grinning, beaming at the joy of running. At the simple pleasure of moving one foot in front of the other, feeling easy, totally in the flow. We wind round and down and I can feel it’s close now, stretch out. No longer focused on the next one to pass, just running for the sheer joy of it. The final straight and my anonymous pace maker is still there at my shoulder. I look across and say “Go for it”. We sprint for the finish and he lets me go in front like the gentleman he is. I stop my watch and show him the time – 51 minutes. Shake his hand and say “It’s been a pleasure running with you”. I still don’t know who he was, but we shared this race.